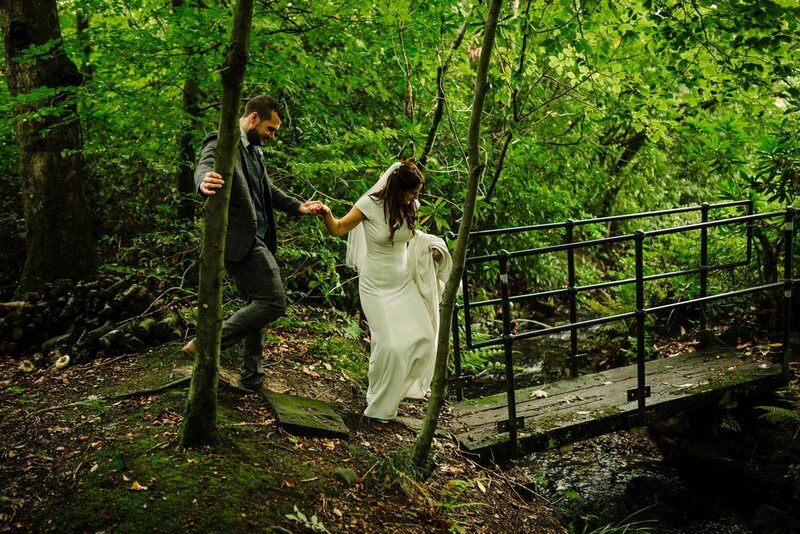 Set in beautiful woodlands outside Bolton Lancashire, we offer a romantic venue for wedding receptions. We work with you on the details to make your day perfect. 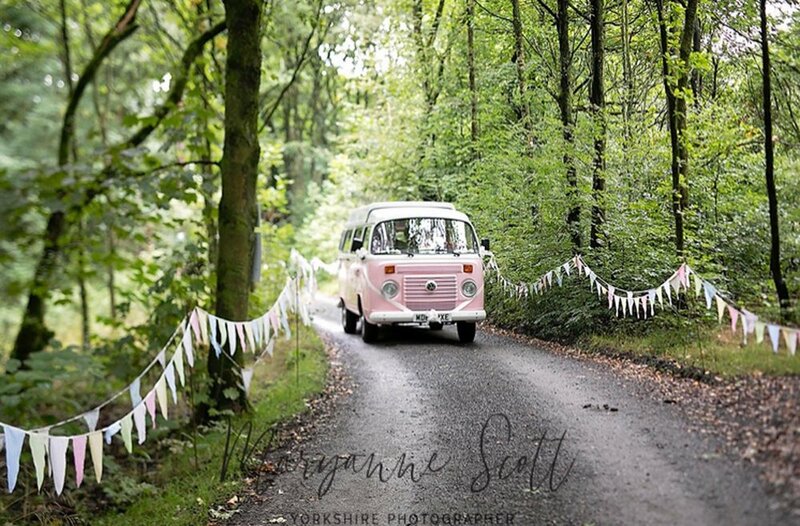 Looking for something different for your big day? Something slightly more relaxed in a beautiful setting? Look no further. 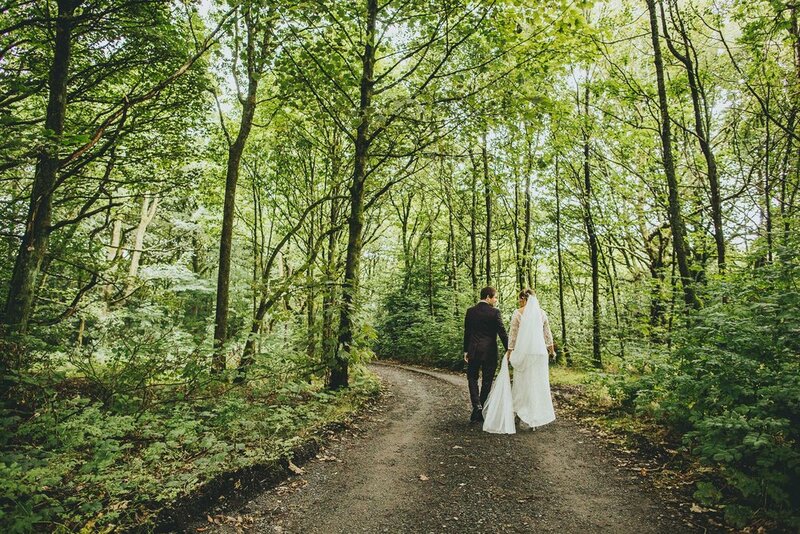 Here at Spring Cottage, we offer a woodland setting for you to hold your wedding reception and make it as personal to you as you wish. Our land allows space for a large Marquee from May to September which is lined, lit up and furnished with trestle tables and chairs. It comes as a blank canvas, allowing couples to add their own personal touch whether that be adding individual decor or choosing table decorations. We always, of course, offer our help to you if it’s required. Our grounds can also be used by you too, whether that be for photographs or just for children to play and explore. If you have an idea then let us know; we have had forest schools to entertain the children and bouncy castles to entertain the adults..! We offer a number of ‘extras’ too - have a look at our brochure for more details about what is included to make it that bit more memorable for your guests and most importantly, you! 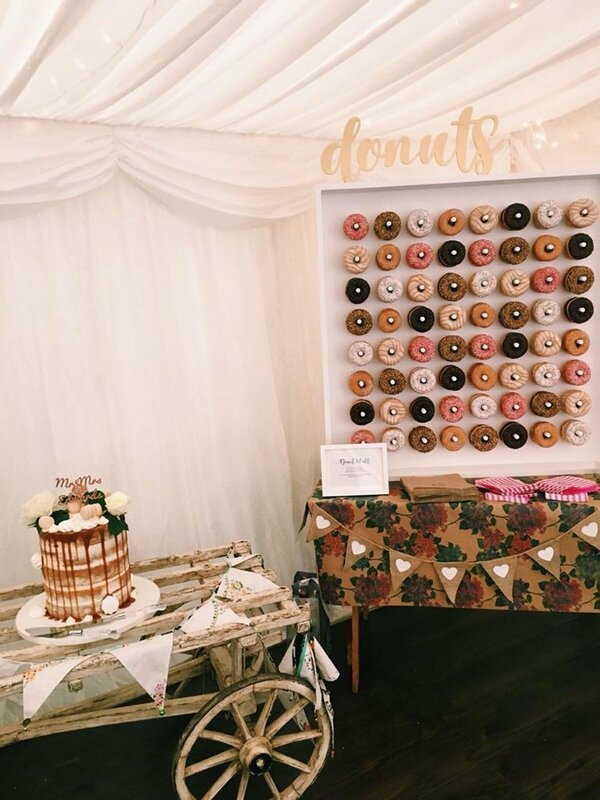 We offer the option of allowing you to use your own external caterers; whether this be for a Hog Roast or a sit down wedding breakfast in the Marquee – the possibilities are endless. We also offer a catering menu ourselves – ask for further details. The cafe takes a turn for wedding days, being transformed into a quirky bar with a place for your guests to grab their favourite beverage too. Do you have a favourite drink? Let us know and we’ll try our absolute best to get it for you. 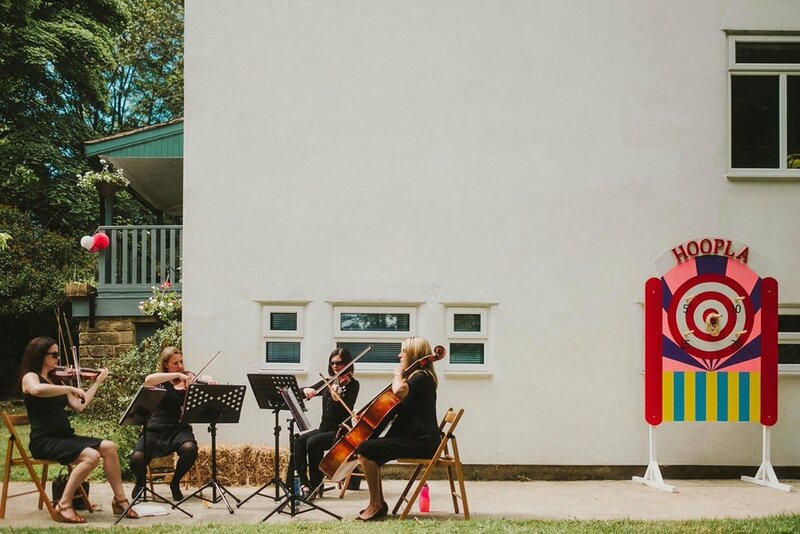 Spring Cottage is a mixture of an indoor and outdoor venue. 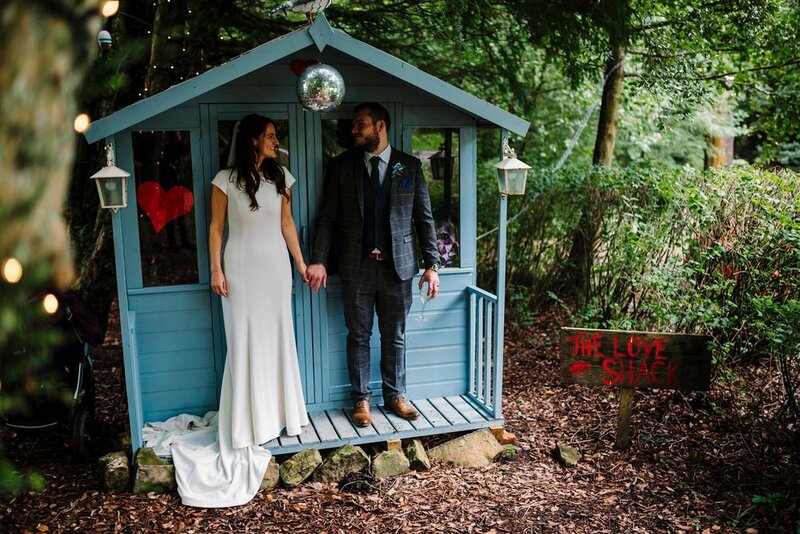 Outside, the beautiful woodland setting transforms into a fairytale at dusk as fairy lights in the trees are lit up and guests can dance under the stars. We can tailor weddings to be as intimate as you like. Take a look at our brochure or send us a message to arrange a coffee and chat. People often ask us for recommendations for florists, photographers, celebrants, caterers and entertainment. To help we have put together this list of people who have all previously worked with us, do a totally excellent job and are immensely popular with our guests. Copyright © Spring Cottage 2018. All Rights Reserved. Website design by Manage My Website.